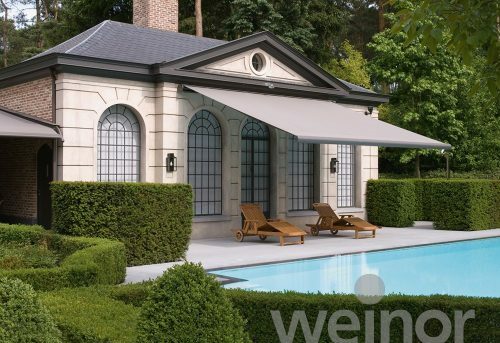 Our Premium style Weinor Opal Awning is the perfect combination of modern technology, high quality materials and slimline design. 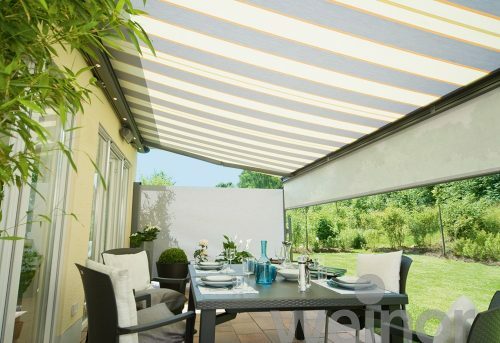 Capable of shading large areas of outdoor space, this awning is well suited to larger properties and gardens but its clean lines and use of just one set of arms, even for the maximum width and projection, the Surrey Awning is far from obtrusive. The Weinor Opal Awning is our highest quality retractable awning product and will suit both modern and traditional residential properties. Weinor is renowned for top class awning design and technology and the Opal Awning is one of their best products. 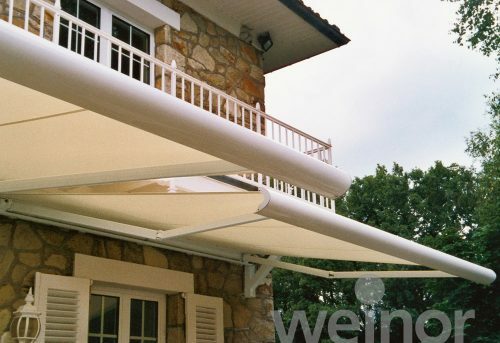 Designed to provide shade for large outdoor areas, this awning has an elegant design with a sleek cassette and beautiful finishing touches. 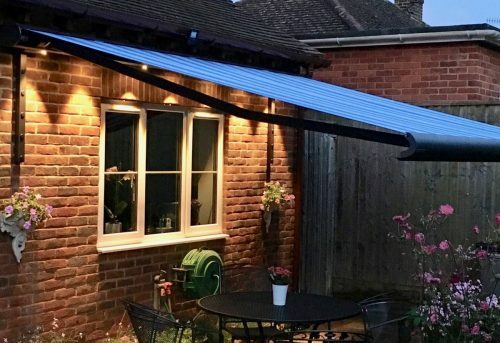 Certified to handle up to force 5 winds the Opal Awning will withstand the most testing of conditions but the integrated dimmable LED lighting will soften the mood and provide a calm ambience to any outdoor area, whatever the weather. The option of multi-section units allows you to cover vast areas with ease. For extra privacy and protection, the Weinor Power Valance is a fantastic addition to your Weinor Opal Awning. 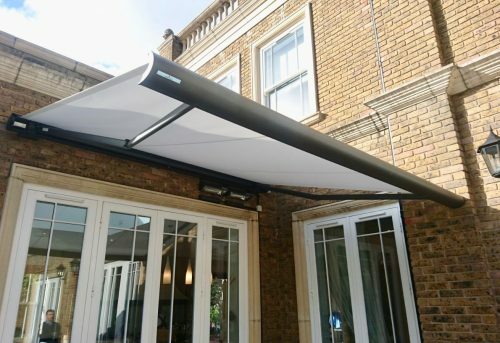 At the touch of button the valance will drop down from the end of the awning to ensure you can enjoy your time outdoors in utmost comfort. 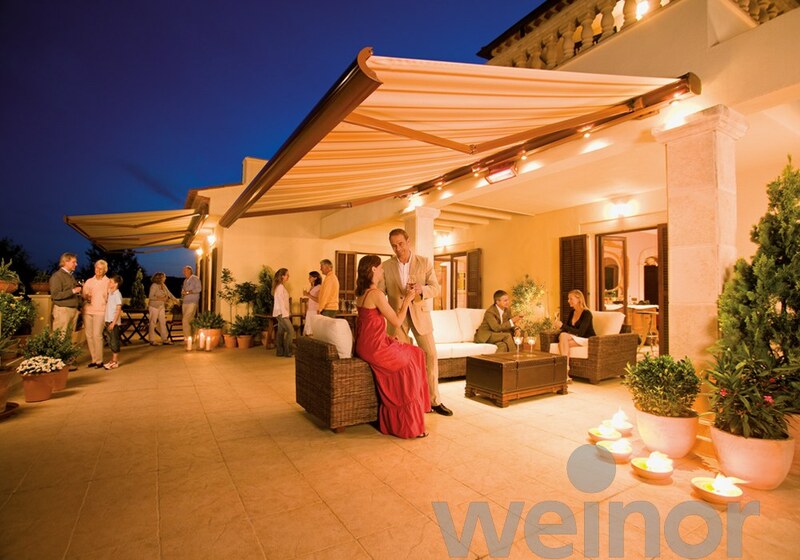 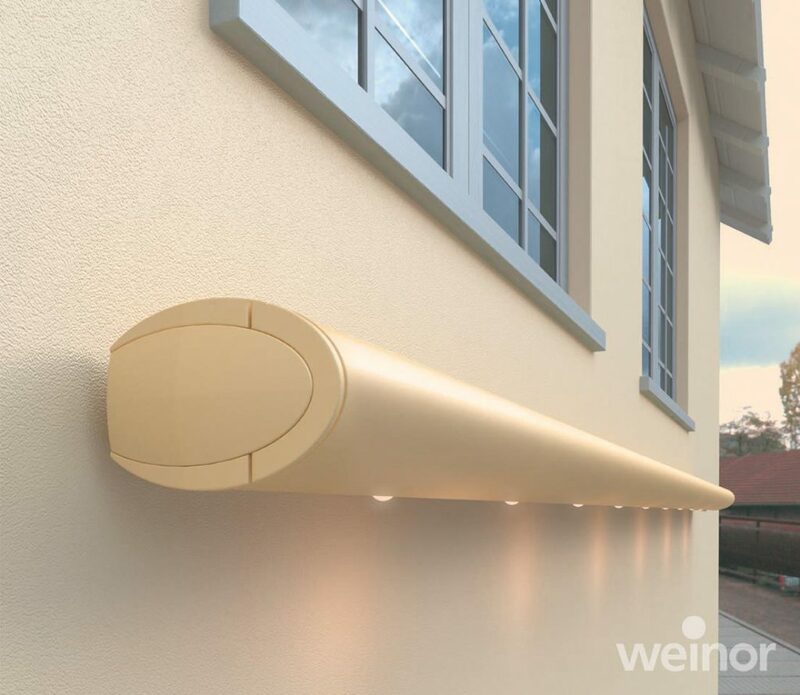 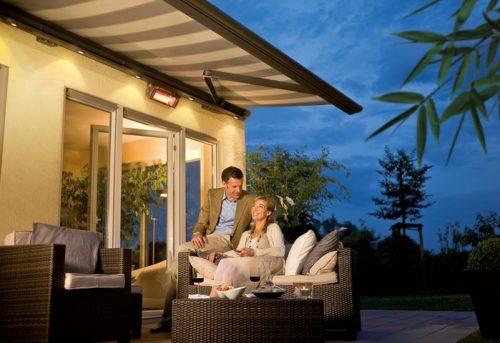 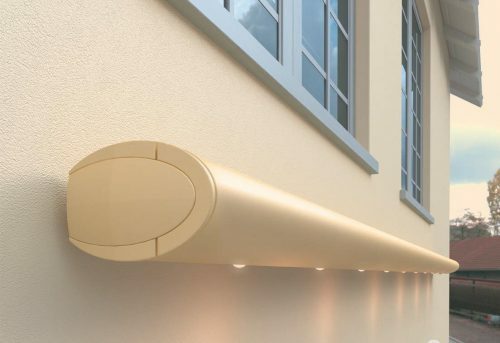 Weinor’s state of the art LED Light Bar can be fitted our Weinor Opal Awnings for extra ambience when the sun sets. 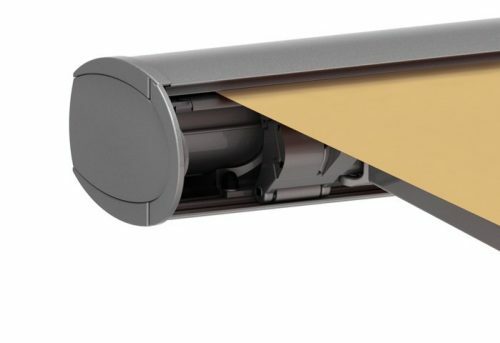 Set into the underside of the awning cassette itself, the lighting bar is neat and tidy with no extra wires or fitting required. 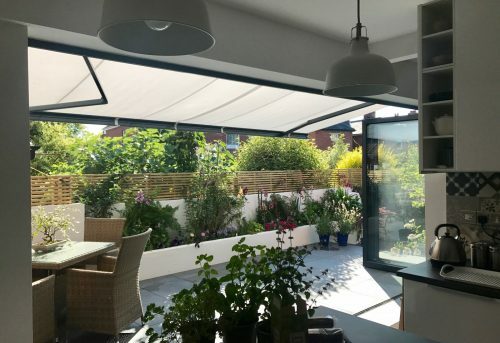 If you have a very large area to cover, two sections of fabric can be connected together and controlled by just one motor to cover areas up to 48 square metres.